From his locale’s board of education to the Congress and then the United States Senate, Democratic politician, Bob Menendez is one of the most powerful political figures in Houston County. Since 2006, he has been serving as the senior United States Senator from New Jersey. He was first appointed to the Senate by Governor Jon Corzine who had vacated the seat after winning the New Jersey gubernatorial elections. The appointment meant he would complete Corzine’s tenure, after which he went on to win the seat in the next elections. Here is everything you should know about the Latino politician. 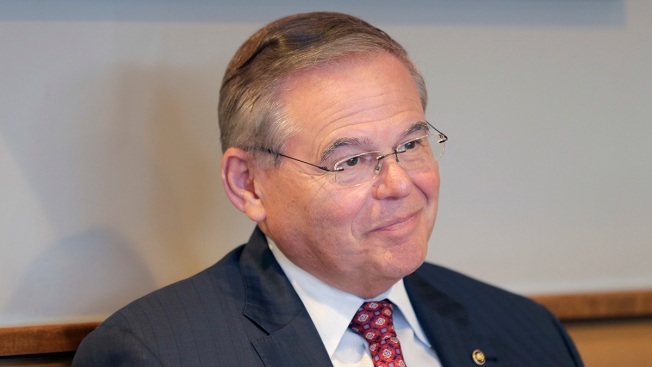 Senator Bob was born Robert Menendez on the 1st of January 1954 in the city of New York. A few weeks prior to his birth in the US, his parents had immigrated from Cuba into the States and came to settle in Union City, New Jersey where Menendez would spend the rest of his childhood. His father, Mario Menéndez worked as a carpenter while his mother, Evangelina, worked as a seamstress. Bob Menendez was quite the outspoken kid in class, an attribute that his speech teacher Gail Harper would come to develop, turning young Menendez into an articulate public speaker. His political career began from high school at Union City where he served as the student body president. In the early 1970s, Menendez gained fame for opposing his mentor, the then-Mayor of Union City, William Musto by successfully launching a petition drive to reform the local school board. Menendez, in 1982, challenged Musto in his bid to maintain his Mayor seat but lost. At the second time of trying in the next election season in 1986, he won. Musto had left the seat to serve in the Senate. In 1987, while still serving as Union City’s Mayor, Menendez began representing the 33rd district at the New Jersey General Assembly. He ceased serving as Mayor in 1992. Following the death of State Senator Christopher Jackman, Menendez won the special election to represent the 33rd district at the New Jersey State Senate. From 1993 to 2006, Bob Menendez served as the Member of the U.S. House of Representatives from New Jersey’s 13th district. He only left the house in January 2006 to continue the tenure of Jon Corzine who left the Senate to serve as New Jersey Governor. Menendez became the 6th Latino to serve in the US Senate. In the Senate, Menendez has worked on a handful of committees, including the Banking, Housing and Urban Affairs, Finance and Foreign Relations committees. Bob Menendez holds a Juris Doctor degree from Newark’s Rutgers School of Law from where he graduated in 1979. He attended Saint Peter’s College in Jersey City where he earned his Bachelor of Arts degree in Political Science. During his time at the school, Menendez was a member of the Lambda Theta Phi fraternity. He became the first member of his family to ever attend college. As a public servant, Bob Menendez is mandated to release his tax returns which gives the general public a peek into his personal wealth. A bulk of his earnings come from his salary as a public servant. He bolsters his income with rent from his properties in Union City. His net worth became a topic of much interest during his 2018 Senate election against Republican millionaire businessman Bob Hugin. Menendez’s tax returns in 2017 showed that he earned a pre-tax income of about $194,000. $174,000 comes from his salary as Senator and the rest from his rental properties. The Senator owns stocks in MetLife worth less than $15,000. According to our sources, Bob Menendez’s net worth in 2017 was $300,000. Bob Menendez has been married twice in his lifetime. His first marriage was to Jane Jacobsen in 1976. Jacobsen worked in the Union City Board of Education of which Menendez became a member in 1974 and the Union City Public Schools. Their union produced two children, a daughter named Alicia Menendez and a son Robert Menendez. Their marriage ended in a divorce in 2005. Menendez’s daughter Alicia is a popular figure on TV. She is a news journalist and runs her own show, Alicia Menendez Tonight on Fusion, a TV network targetted at millennials. Prior to booking her own show on the network, Alicia hosted a show on HuffPost Live and appeared on bigger networks like CNN, MSNBC, and Fox News. On her show, the Harvard alumnus has interviewed the likes of Chelsea Clinton, Taylor Swift, Janet Mock and more. Alicia worked on her father’s campaign team as a strategist during his bid for the Senate in 2006. Since January 2015, she has been married to Carlos Odio – a former White House staff during Obama’s administration. Bob Menendez is now married to Alicia Mucci, the widow of popular Jersey restauranteur, Robert Mucci who passed away on the 12th of May 2012 at the age of 69, bringing an end to their three-year marriage. Robert Mucci owned The Old Time Sizzlin’ Steakhouse in Hackensack, New Jersey. In early December 2013, NY Daily reported that Menendez had popped the question to Alicia Mucci in the Capitol Rotunda. Alicia Mucci has 5 children from her previous marriage. She hails from Paramus, New Jersey and works as a realtor. Her Facebook page reveals that back in 2009 when she had just married her now-late husband, she worked as a bartender at Stony Hill Inn.